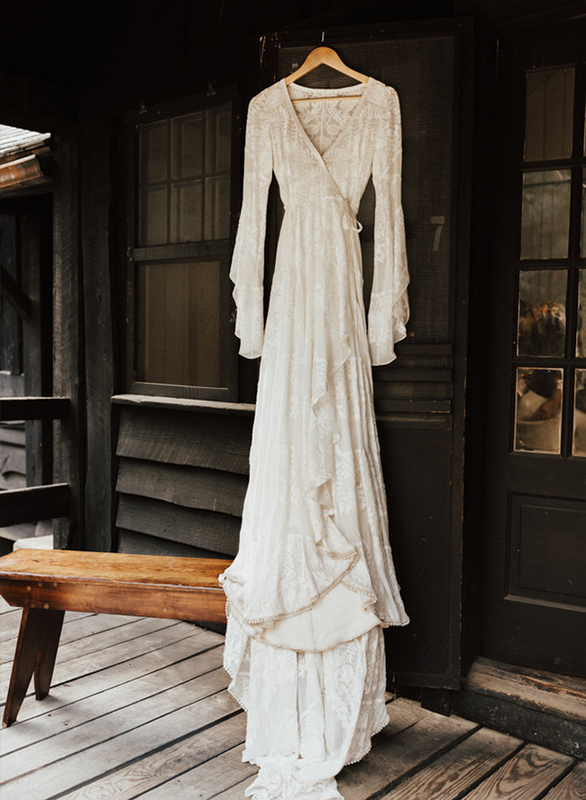 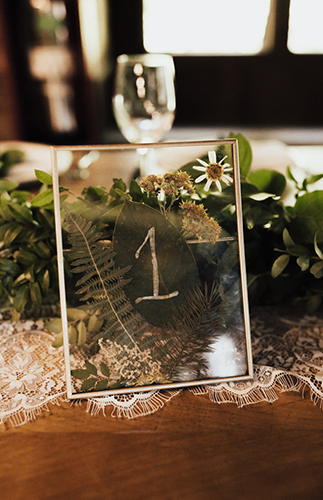 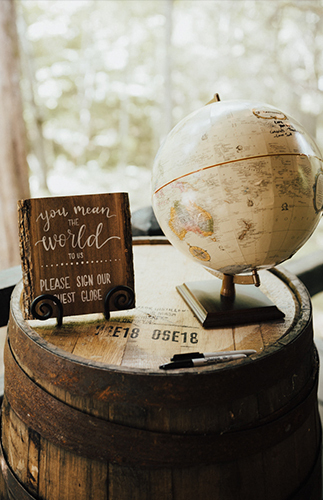 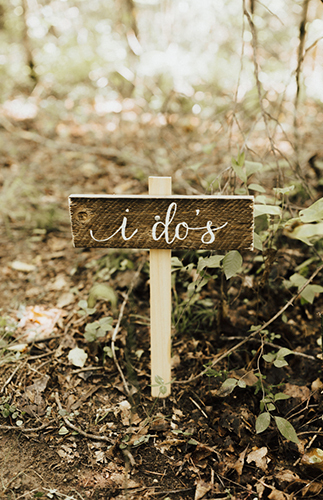 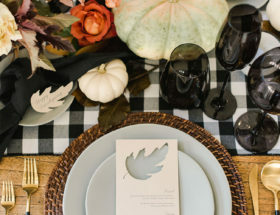 We are taking you to the woods today on our wedding blog, and we couldn’t be more excited! 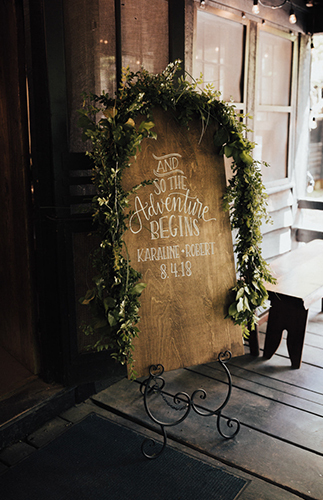 We love nothing more than to get out of the hustle and bustle of the city and become one with nature. 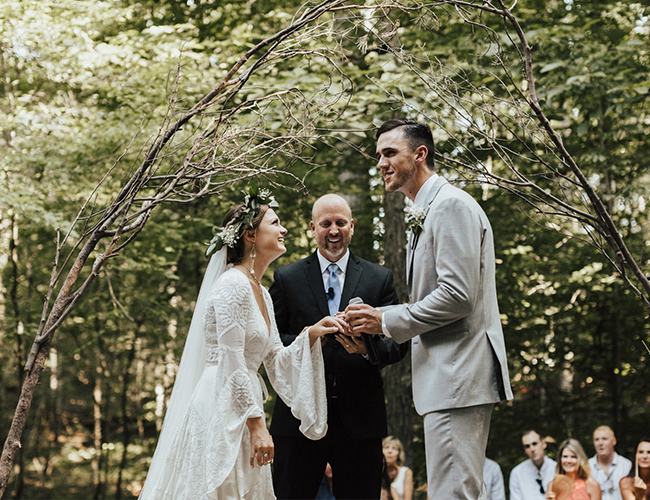 Which is what this gorgeous couple had in mind for their natural campground wedding. 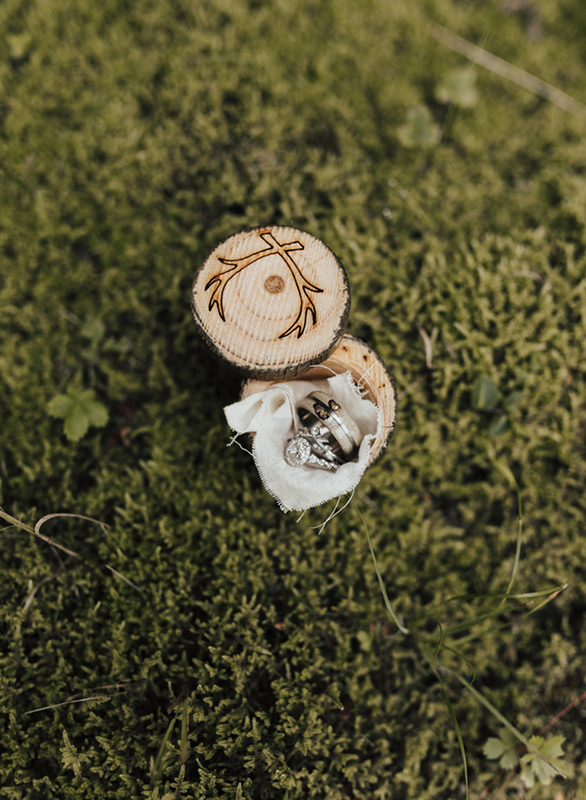 The woodland scenery is accompanied by DIY details and all the love this world can produce! 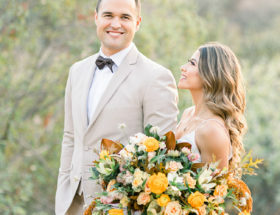 We mean, just look at the way the bride and groom adore each other in every photo. 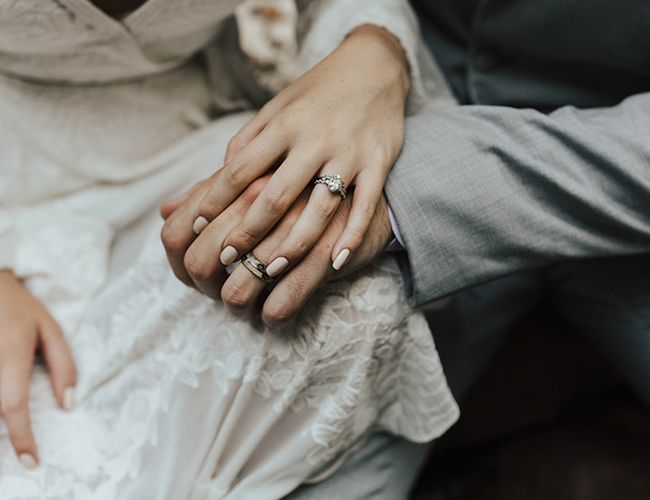 It is clear that these two are madly in love, and will be “til death”. 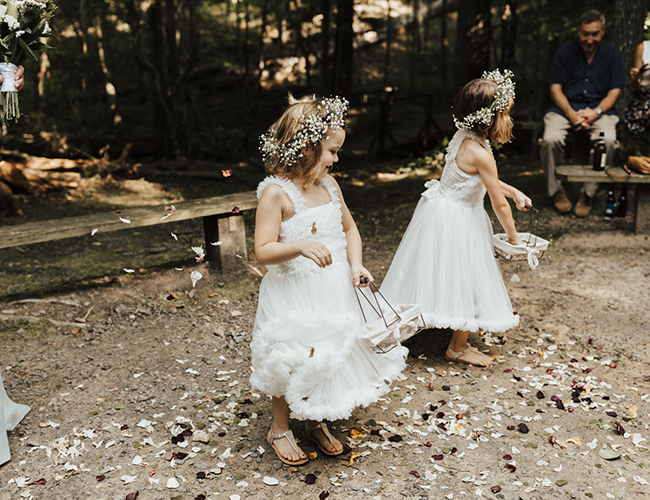 So, scroll on to see what made this day so magical! 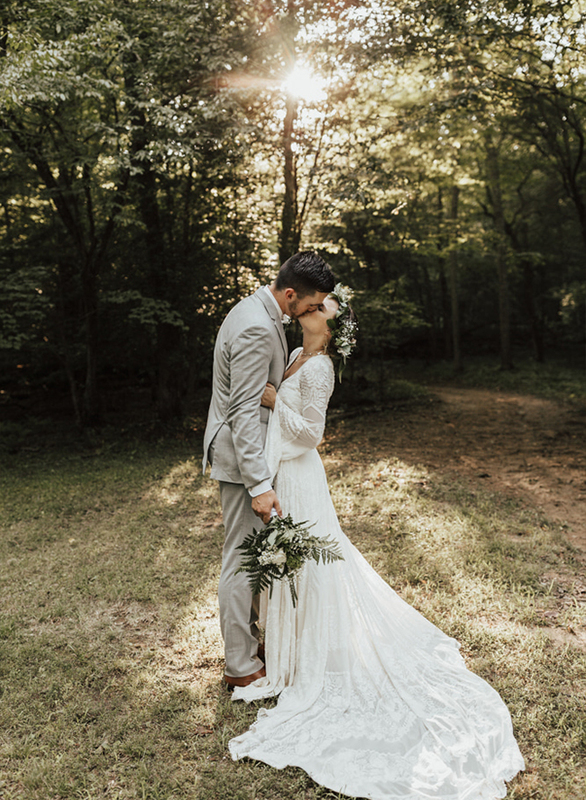 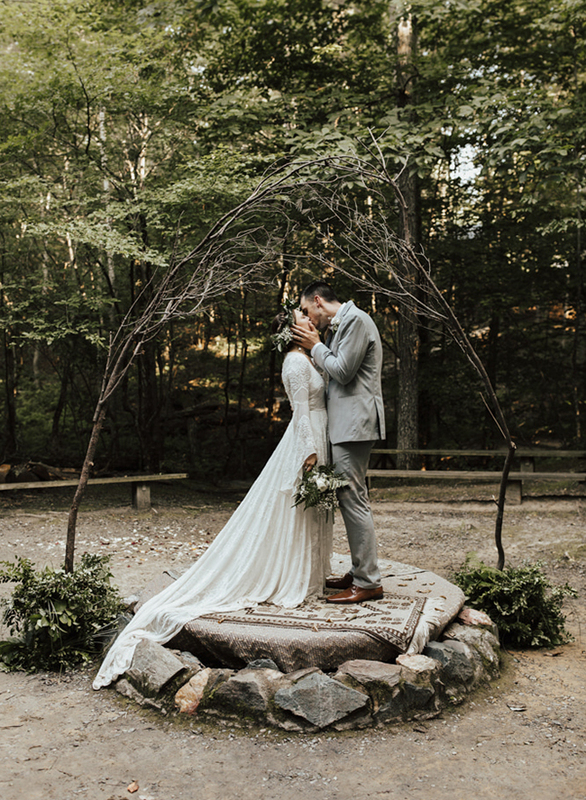 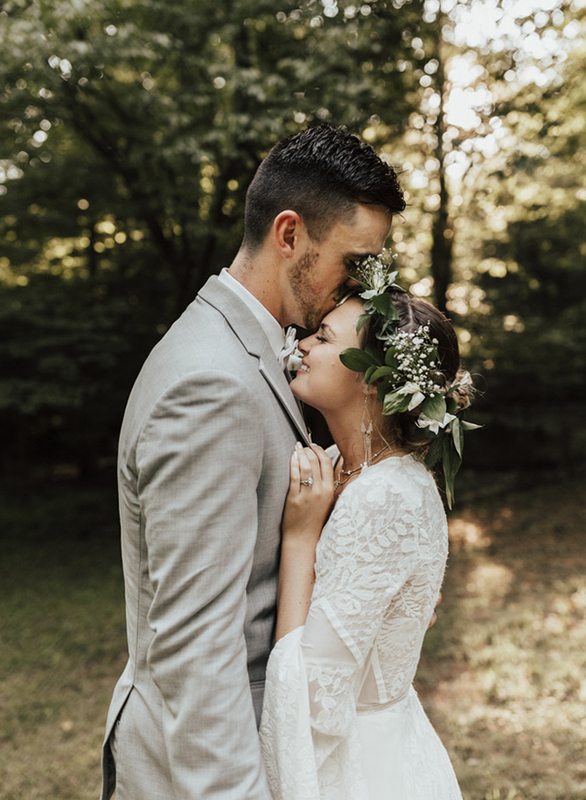 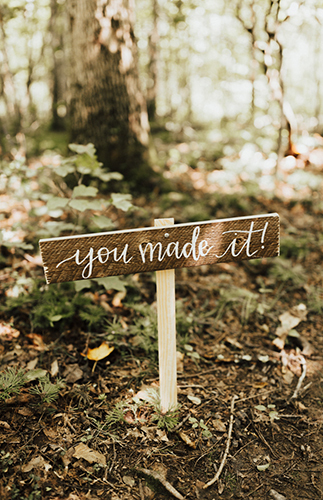 The photographer, Peyton Curry shares, Karaline & Robby’s wedding took place at a campground nestled in the woods of Prince William Forest park, Triangle Virginia, USA on August 4th 2018. 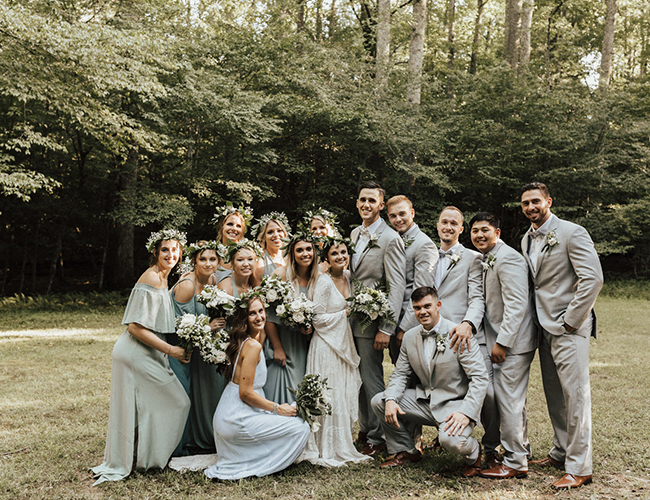 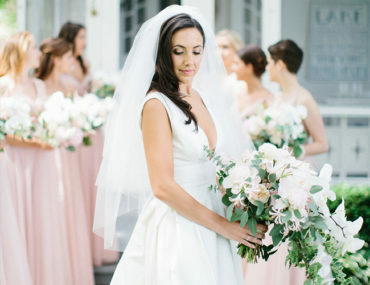 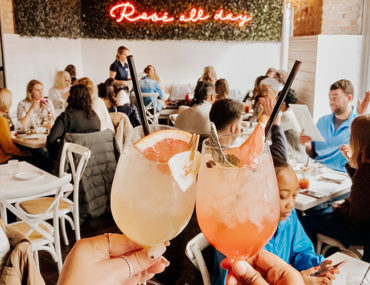 They wanted this day to be a relaxed, fun, untraditional celebration with their closest family and friends. 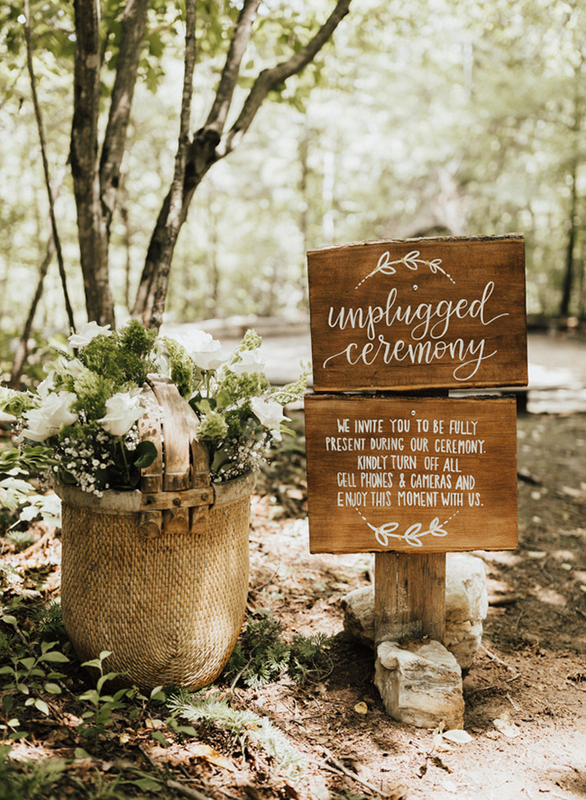 These two love hiking and camping, and wanted to incorporate the outdoors as much as possible into their day, so this off the grid campground was the perfect space! 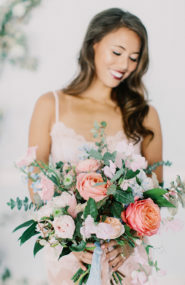 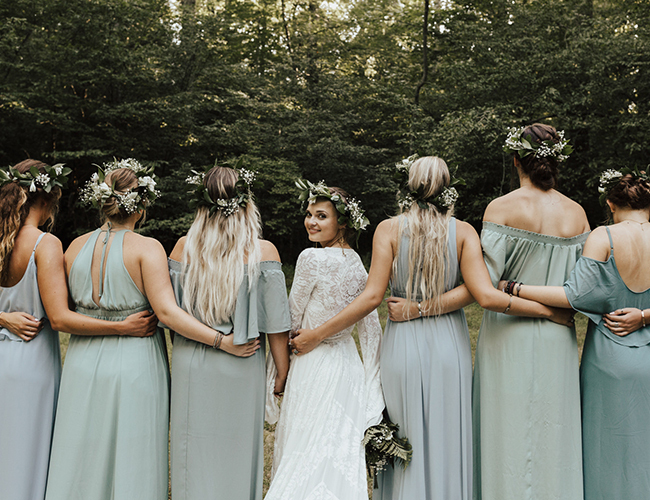 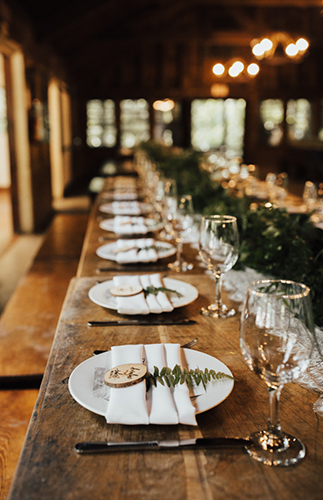 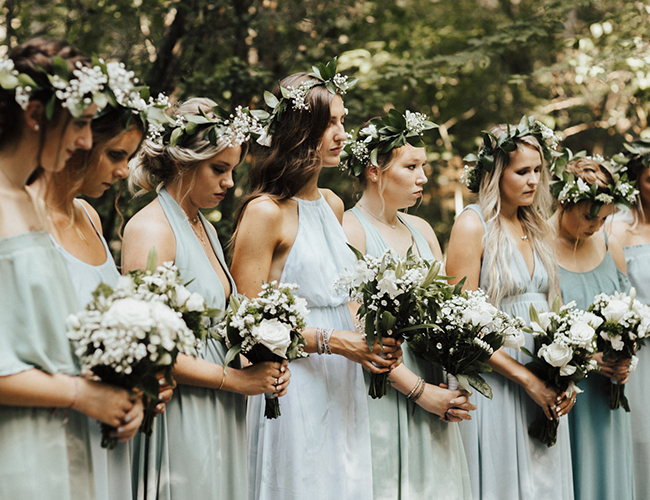 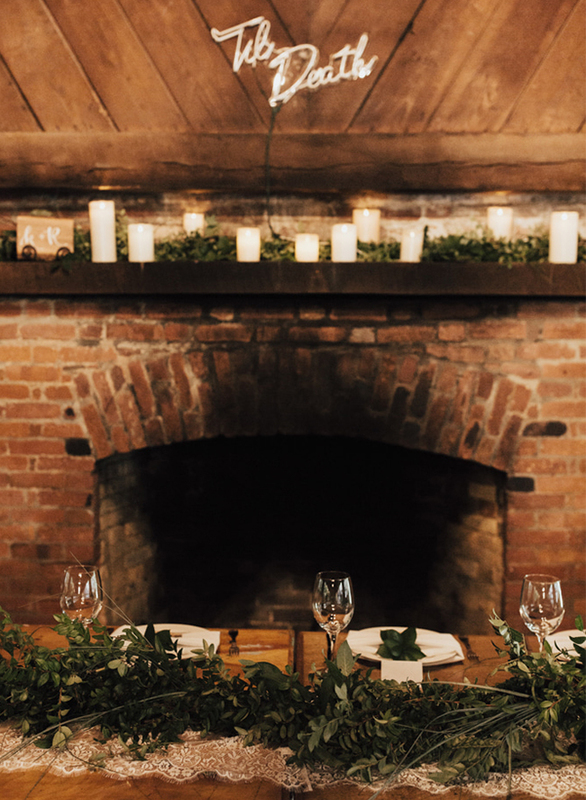 Karaline & Robby are currently living in Washington state, and wanted to bring some PNW vibes + inspo to VA with ferns in the floral arrangements and throughout the reception decor, the bridesmaid colors, and more. 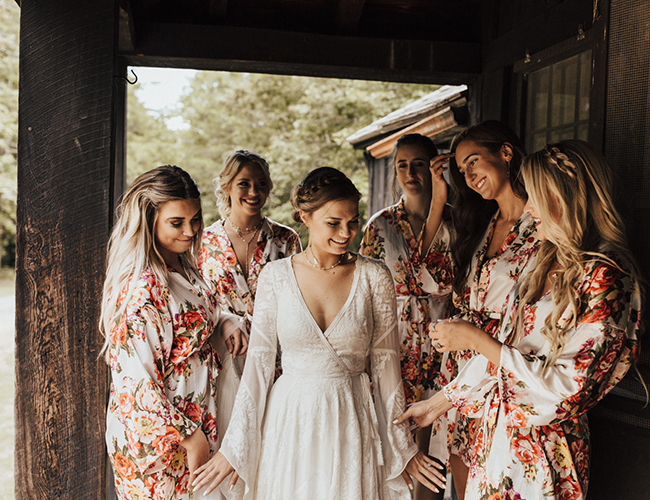 Karaline and her girls got ready at the historic campground infirmary (Karaline’s 13 year old sister also did her make up, and many of the bridesmaids makeup), while Robby and his guys got ready in his dad’s RV (that was driven all the way from Georgia). 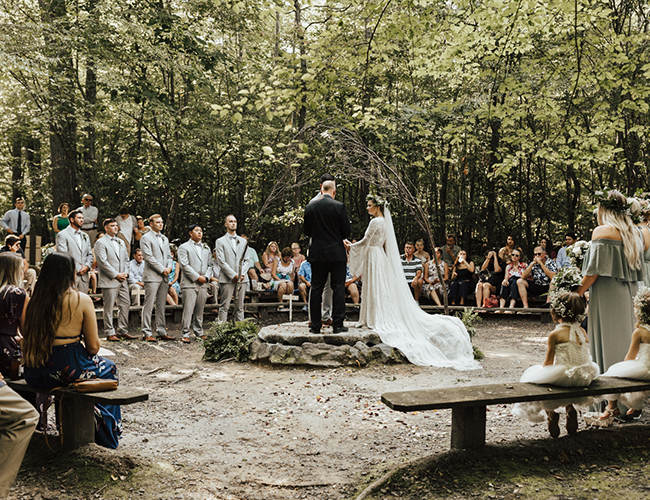 The ceremony took place in a campfire ring. 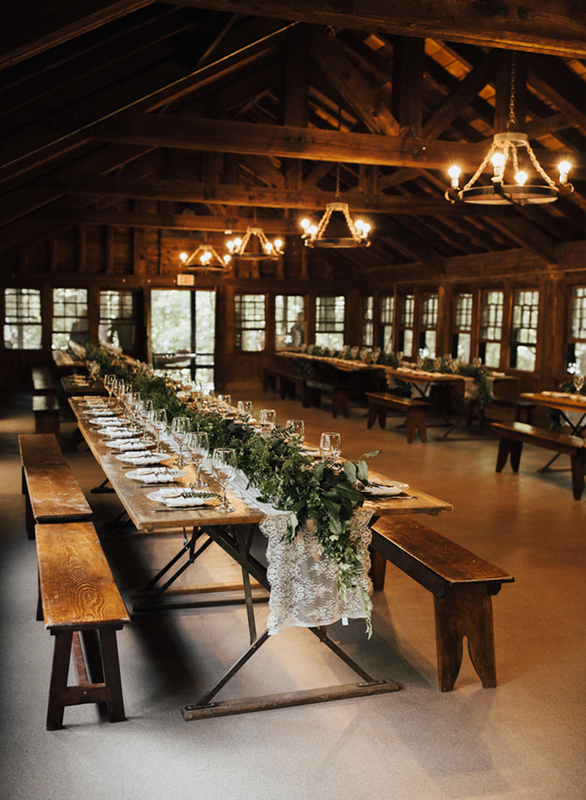 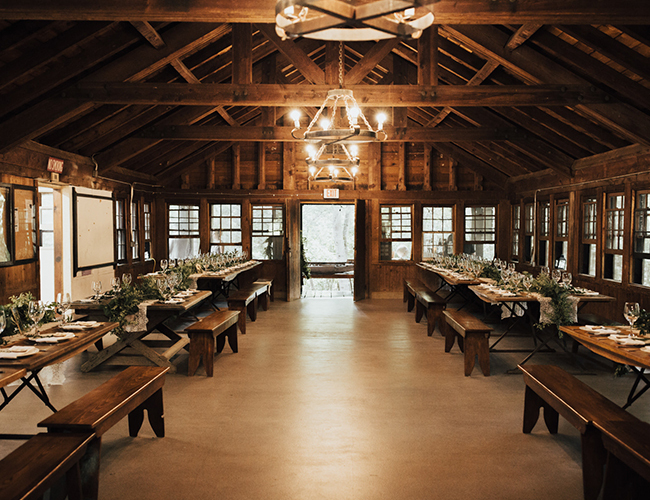 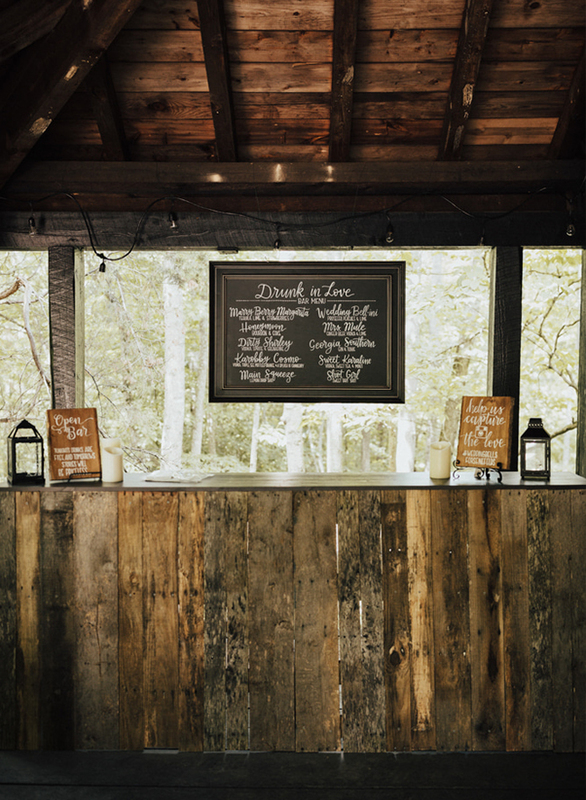 The arbor and platform was built over a fire pit, and the reception took place at the dining hall. 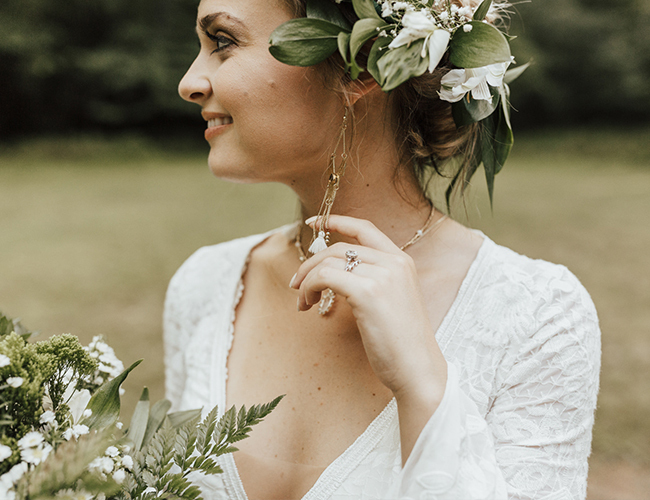 This day also had a ton of DIY projects — Karaline and her ladies made all of the bouquets + boutonnieres + flower crowns, Robby’s sister did all of the calligraphy on the signs, Karaline’s dad cut & branded all of the wooden party favors, and Karaline dried all of the wildflowers (which are also from Washington state) that are in the table number settings. 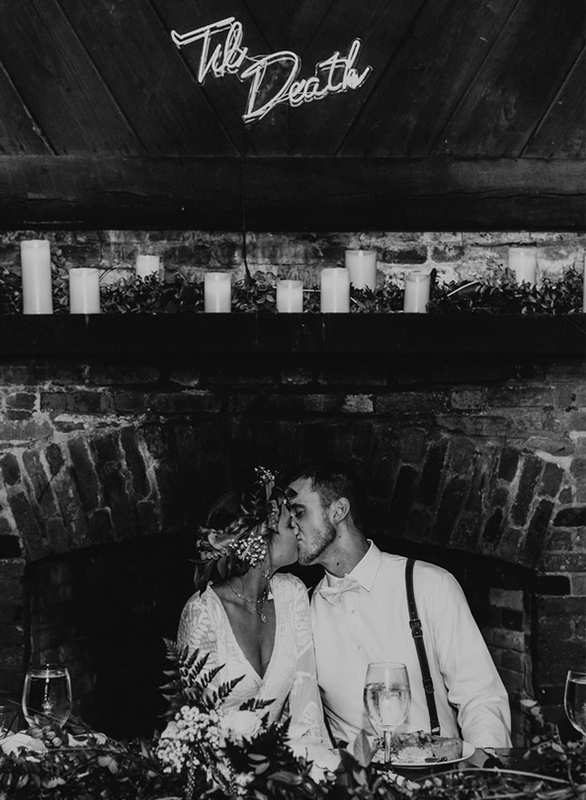 Robby also gifted his groomsmen custom leather suspenders that they wore on the day. 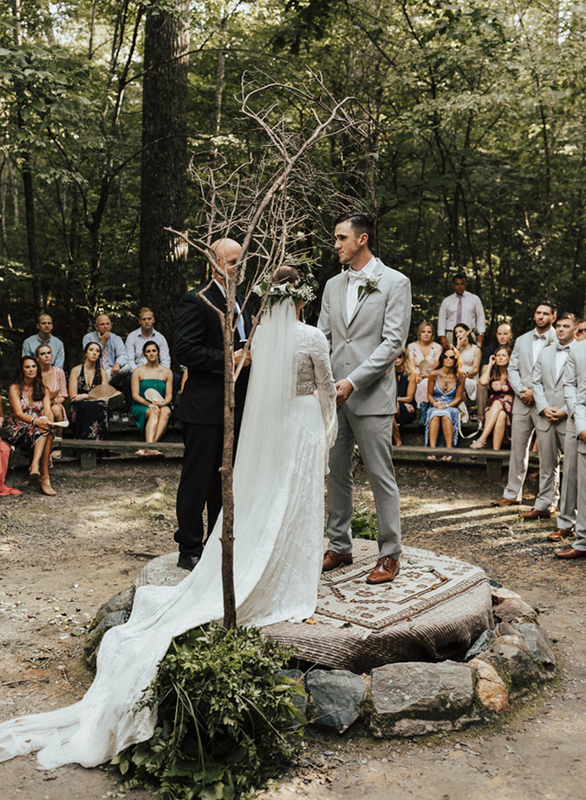 Their wedding day was also Karaline’s great grandmothers 100th birthday, so they made her a sweet little cake and celebrated her at the reception!